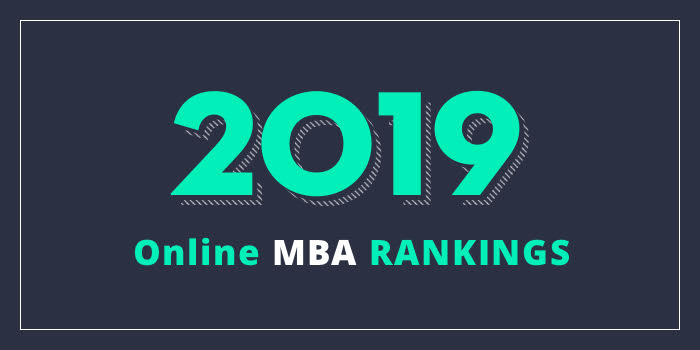 Our 2019 rankings of the Top Online MBA Programs in California. For an explanation of ranking criteria, click here. The Jack H. Brown College of Business (JHBC) and Public Administration at California State University-San Bernardino (CSUSB) offers a 12-course, 48 quarter-unit MBA program that may be completed entirely online. Courses are taught in five-week sessions and students typically dedicate 20-25 hours of study time per course. Students can expect to take courses such as Advanced Managerial Communication, Corporate Strategy in a Global Economy, Information Systems & Technology, Entrepreneurship and New Ventures, Data Driven Decision Making and Project Management. All CSUSB MBA programs include a Boot Camp (0-units) to help students prepare for subsequent classes, two 'foundation classes' (8-units) to develop problem-solving and communication skills, seven 'essential' classes (28-units) to develop specific business knowledge and skills, and two 'culminating' classes (4-units) to apply knowledge and prepare students for subsequent career aspirations. Two elective courses (8 units) are also part of the program. Boot Camp modules cover accounting, finance, information management, marketing, and supply chain management. The online CSUSB MBA program has an open enrollment process and it is AACSB-accredited. Students can expect to complete the program in just 18 months. Craig School of Business (CSB) at California State University, Fresno (or Fresno State) offers an Accelerated MBA Program that may be completed in 18 months. Students can complete their MBA in a blended format, which allows them to take courses 100% online using the Blackboard Learning System. Students must attend an on-campus orientation and complete selected final exams and final culminating experience presentations in person. Approved testing locations and Respondus will be used to bridge any geographic barriers that present themselves. Per the school, the curriculum for blended program follows the same structure and coursework as the traditional campus MBA, but it allows students the flexibility to learn remotely. Sample courses for the program include Global Environment of Business, Methods of Decision Sciences, Regulatory and Ethical Environment of Business, Leadership and Organizational Behavior, and Managing Human Capital. Other program highlights include multiple seminars in covering everything from Business Ventures to “X” Marketing, AACSB accreditation and limited campus visits for a single orientation, selected final exams, and final culminating experience presentations. Students also have the option to participate in the Summer Study Abroad Program. Santa Clara University’s Leavey School of Business offers an online MBA program that can be completed in as few as two years. Designed to help students become “Silicon Valley Professionals (SVPs),” the program highlights a curriculum based in “innovation and responsibility,” says the school. Sample courses for the program include Doing Business in Silicon Valley, Leading People and Organizations, Ethics for Managers, Strategy, Analysis, Design, and Management of Enterprise Platforms, and Marketing is Everything. The program also highlights 28 units of free electives that allow students to focus in one or more areas.